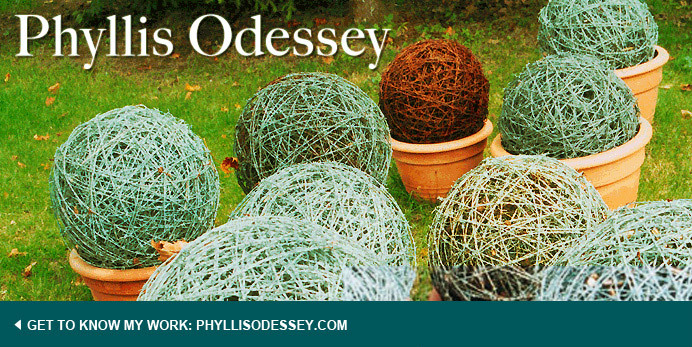 Phyllis Odessey: Should The Unforgettable Be Forgotten? On Wednesday night, Stephen Byrns, Untermyer Gardens Conservancy Chair and Timothy Tilgman, Untermyer's Horticulturist tried to convince the Wave Hill audience that the Untermyer Garden in Yonkers, New York should be saved. 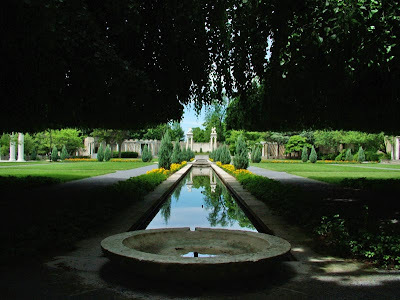 The title of the lecture, Untermyer, America's Greatest Forgotten Garden may be an unforgettable title, but the garden, in my mind, did not live up to its billing. Should every large garden built by a wealthy individual be saved? Byrns made an impassioned plea for restoring this garden, which has fallen into disrepair over the last 70 years. In its heyday, the garden boasted 60 gardeners, 60 greenhouses and covered 150 acres. 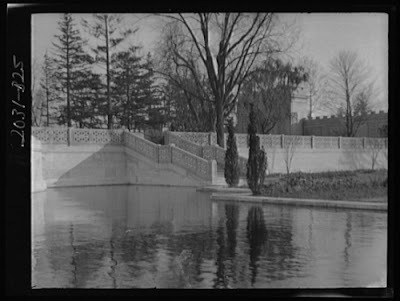 Byrns claimed the Untermyer Garden was the greatest Persian Garden in the Western Hemisphere, which was indication of hyperbole that littered his speech. This was the era of rich Americans going on the grand tour of Europe and coming back with ideas, antiques and titled wives. I thought how much fun it must have been to go to Versailles or the Villa D'Este or the Alhambra and choose what feature you liked... a grotto, a rill, an entrance gate... and then say to your landscape architect, "I want this and that. Here are the funds to make it happen." As Bryns and Tilghman spoke, I felt a tightening in the pit of my stomach. Is this truly the best use of resources? Are rehabilitating statues, planting 200 ft. borders, restoring thousands of feet of mosaics, what we should be doing in a post-Sandy world? 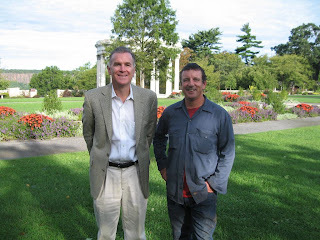 A garden like Kykuit has been maintained since its inception by the Rockefeller Family or the job of constantly conserving Frank Lloyd Wright's Taliesin falls into a different category. The first is an estate which includes a world-class art collection and the second is a flawed house built by a world renowed architect. 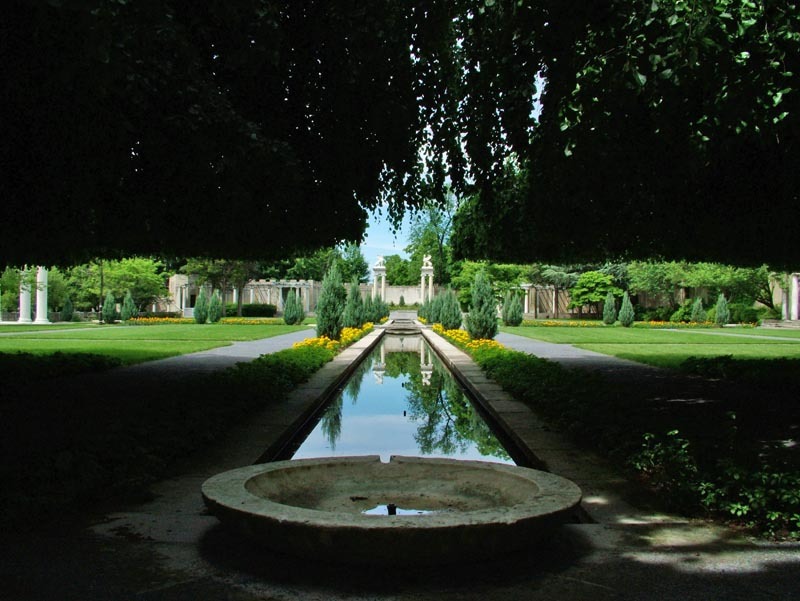 The Untermyer Garden is a wealthy individual's desire to keep up with the Joneses. Byrns concluded the lecture by connecting the historical roots of the garden: Jewish (Untermyer), Christian (his wife) and Muslim (the Persian architecture). His flowery prose sounded more like a speech that might have been given at the UN Security Counsel, then a raison d'etre to save a garden. I admire the enthusiasm, but think its sheer folly. Should The Unforgettable Be Forgotten?